Wyman Plumbing & Mechanical provides replacement and installation of gas lines and underground gas lines to the residents of Arizona’s North Phoenix Valley. Whether it is a whole new underground pipe system or just a few feet, our team of professionals can quickly and efficiently get the job done. With over 15 years of installing gas lines, we have the experience and skills you can have confidence in for installing gas piping. 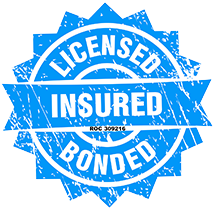 Our gas line installation includes boilers, water heaters, built-in grills, fireplaces, fire pits, outdoor kitchens, gas appliances or for converting from electric to gas in your home! Gas Grill Hookups – Are you tired of running out of propane when it is time to fire up the grill? Time to retire it and install a natural gas grill so that you never have to worry about the tanks again. 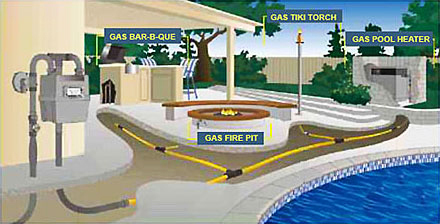 We install the gas piping from the main gas line of your house to your gas grill location. Gas Dryer Conversion – Have you been wanting to save on the electricity and convert from an electric dryer to a gas one? We can help with the conversion! 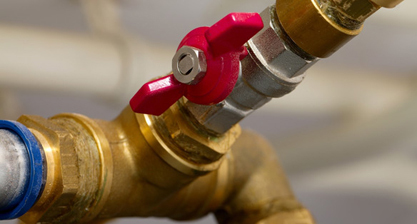 We will run gas lines to your laundry room and have you ready for your installation. Gas Stove Conversion – Ready to regain control over your burners and say goodbye to those pots boiling over on your electric stove? We can assist in your conversion from the electric range to gas so you can regain control. Get ready to cook up some savings on your new stove in record time! 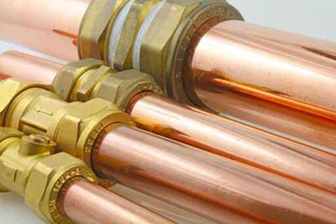 Underground Gas Piping – Ready to run a new gas line out to your new summer kitchen? Or perhaps enjoy time around a fire pit on those cooler evenings? We know how to get the job done right the first time so you can start enjoying your backyard!